Ginger is proven to be one of the most powerful natural remedies for heartburn. Drinking warn ginger tea should help alleviate heartburn in two different ways. First ginger has the capacity to absorb acid from the stomach and second it has nerve-calming effects. Furthermore, ginger is a harmless natural herb with a broad dosage range. In other words it’s safe to consume it regularly to prevent your heartburn from recurring. Aloe vera juice is widely used in Europe as a natural home remedy to ease heartburn. This green juice is highly alkaline, thus it can neutralize excess of stomach acid. The natural juice, with no additives, can been used to calm an irritated esophagus. However, moderation is key here. High doses of aloe vera juice can cause diarrhea, abdominal pain and electrolyte imbalance. Cabbage juice is an oldie but a goodie when it comes to preventing recurring heartburn pain. The juice is a natural anti-inflammatory and is a source of lactic acid making it a natural for all kinds of digestive troubles. You can easily make the juice in your blender or juicer in your own kitchen just check a search engine like Google for a number of easy to follow recipes. To get the best results drink the juice in the morning on empty stomach. 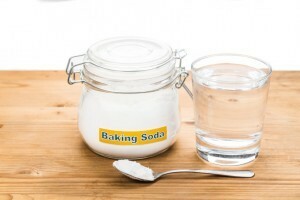 Baking soda or sodium bicarbonate is a natural antacid. 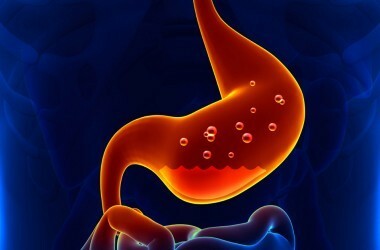 In fact it’s among the oldest and most well known home remedies for heartburn. It can act rapidly to neutralize excess acid in the stomach giving almost instant relief from heartburn pain. Try about a half a tablespoon dissolved in a glass of water. If you find this dosage doesn’t work as effectively as you would like increase the amount of baking soda you use next time. Fresh apple juice. Must be juicy and crispy red type apples. Old mushy ones no good. Just slice (including skin), chew up, swallow the juice and spit out the pulp (pulp not needed). “Red delicious” or other reddish sweet apples should be used. About two average size apples have enough juice. Repeat if necessary. Good for the general health as well ! – Cheers Robert (retired naturopathic doctor). If someone has chronic heart burn, maybe they should first look at what they’re eating. For some, even a “healthy” food could cause some problems. Seems to me that avoiding the culprit would be the first step. That said, half a lemon squeezed in a few ounces of water, or a swig of unsweetened cranberry juice may also be effective. 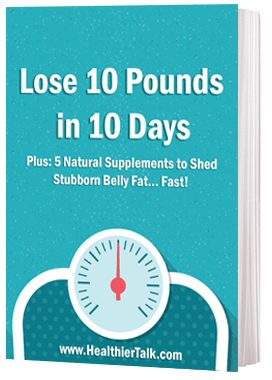 If one of these remedies is effective, chances are, like with the apple cider vinegar, you’re not producing enough stomach acid. Interesting that the medical community doesn’t recognize low acid as an issue. I swear by mustard. It literally works in a few minutes. I have had G.U.R.D for many years and have endured much pain… been on medication for years, changed diet etc and it is much better than it used to be. I find wheat flour, soy flour, sugar and in general processed foods will inflame the condition and the reflux will be back with a fury. Recently I tried a tea made with “Herb Robert” (aka “Cranesbill” or “Geranium Robertianum”) first thing in the morning on an empty stomach and have not had the debilitating heartburn since, no waking in the middle of the night with reflux and so a full nights sleep as well. It is a wonderful tonic and should be added to the list above. Chew a few stalks of fresh green celery. You will get relief within half an hour as Celery juice reaches the stomach. Else eat fresh Cucumber, lettuce or eat fresh broccoli pieces cut and mixed in hot soup. Those who cannot chew these vegetables, can drink celery-carrot-cucumber-beetroot-ginger juice (as per your taste) for regular good health and acidity control. It is a journey that can take years to sort out, what foods are in conflict with the body and sometimes as in type 2 diabetes it can be foods that have always seemed to be OK but are now NOT. Quite often it’s not the low amount but the low strength of the acid. The body then tries to compensate for the weakness by making more of the same. So the stomach then has an abundance of weak acid that will not properly do the job for which it is intended and the result is too high a level and burning of the oesophagus. Eat foods that will strengthen the acid and then the body needs to make less and the problem will right itself. There is no quick fix, it will take time and endurance. Had horrible painful heartburn. Mixed half tablespoon of baking soda in a mug of water and drank half. Waited a bit and burped several large burps. Then drank the rest and heartburn went away. When I get heartburn I almost get to a panic state. My heart rate increases and it is painful from my throat down to my stomach. In short…the baking soda did the trick! What a relief! You should all be check for Hpylori a stomach bacteria, ceyenne pepper is the answer! Manuka Honey, ( a high count strain, expensive but worth it) has been known to kill H PYLORI and heal stomach ulcers. It worked for me, as well as Some western remedies like Prilosec. The real key for me was a long rest for my digestive system, three day water fast followed by slow introduction of fresh squeezed juices, no citrus) – greens and green apple, ginger tea w honey, pureed organic veggie soups like green beans, zucchini, parsley, fruit such as apples, mango, papaya, bone broths w veggies. Inlived off this for several months. It healed my gut substantially. Also digestive enzymes and alot of help from GALLBLADDERATTACK.COM. ( I also had gall bladder problems which can upset your whole digestive tract). I was really ill and it took me months to recover. I no longer eat meat. Alkaline simple pure organic plant based diet is key.. The body can heal and repair itself when you give it the right food and a chance to rest and recover.